Ok, so technically the #DolceVitaBloggers theme for January is your favorite Italian city. Singular. But how do you choose? Even if you’ve only been to a handful? Before living here, I would have probably said Florence. As someone who studied art history and fell in love with the Italian Renaissance, it’s kind of hard not to love Florence. It was such an important city during the period. 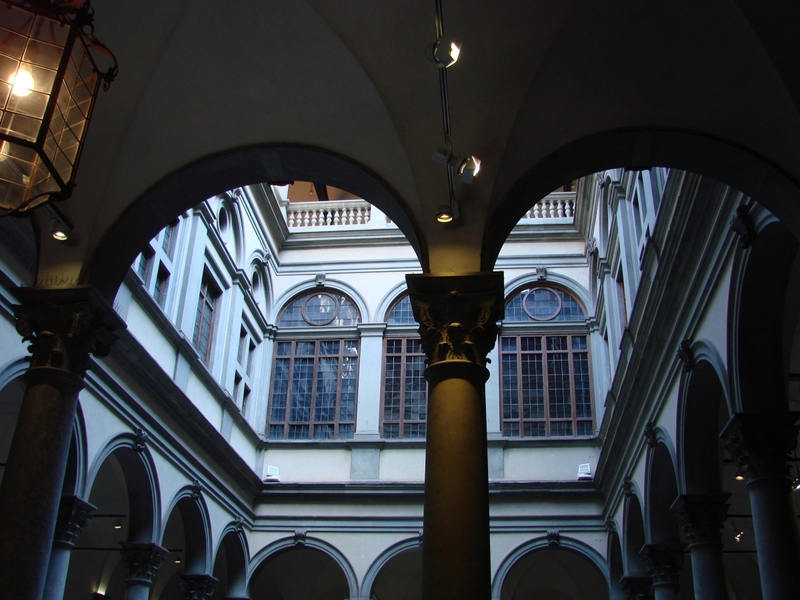 Plus, it’s home to my beloved Palazzo Strozzi. It’s also the first city I visited in Italy. But on later visits, I found more places to love. 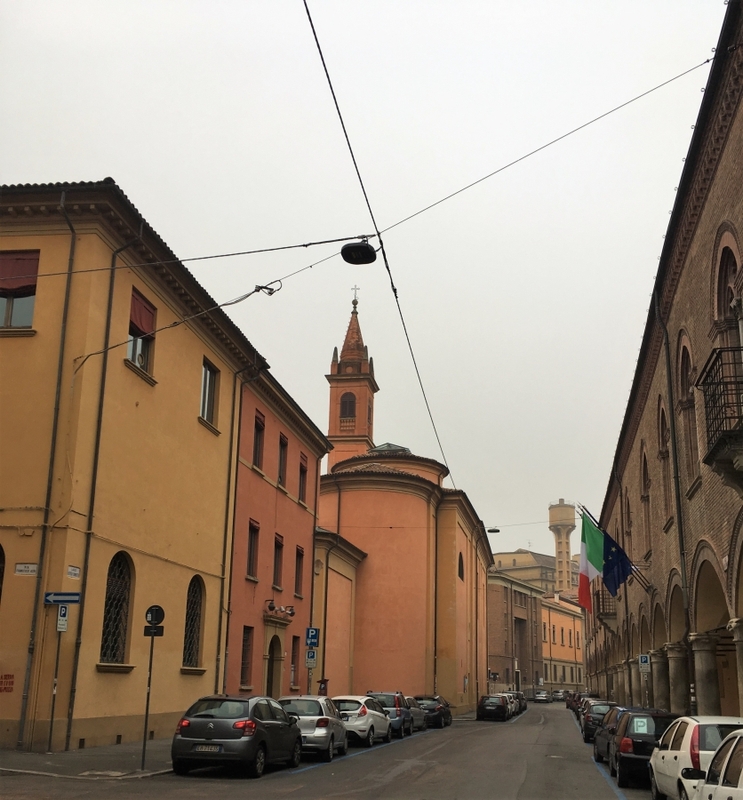 Ravenna, Mantova, Venice, and of course, Bologna. I’ve been to Milan, but for various reasons, it’s not a favorite. I have mixed emotions based on mixed memories. And for the purposes of this post, which is going to be photo heavy, I can only find two photos from Milan: the Galleria and La Scala. Not even the Duomo! So just as well that Milan doesn’t make my list. Although I will always fondly remember one of the guards in the Pinacoteca there pointing out to me the best place to stand to view one of the Caravaggio paintings on display. Mega points for that! But that’s part of my reason for loving different cities. It’s the art and particularly the architecture that I go to see specifically. So it’s not necessarily choosing my favorite cities; it’s choosing my favorite architectural gems. And that’s nearly impossible. But inevitably, when you visit a city, for whatever reason, it’s hard not to come away with special memories. And while they may be private jokes or just an overall sense of gezelligheid that you’re left with after the trip, each city becomes special in its own way. So in trying to limit it all, here are my top three. Technically, I blogged a bit about Venice yesterday, so I won’t repeat myself, even though Venice is definitely way up there! At this point, Bologna probably is my favorite city, in part because it’s where I call home and it’s starting to feel more like home, but also because it’s just a really beautiful city. I took a two-hour walk this morning with Charlie, going in a few new directions and discovering new wonders. 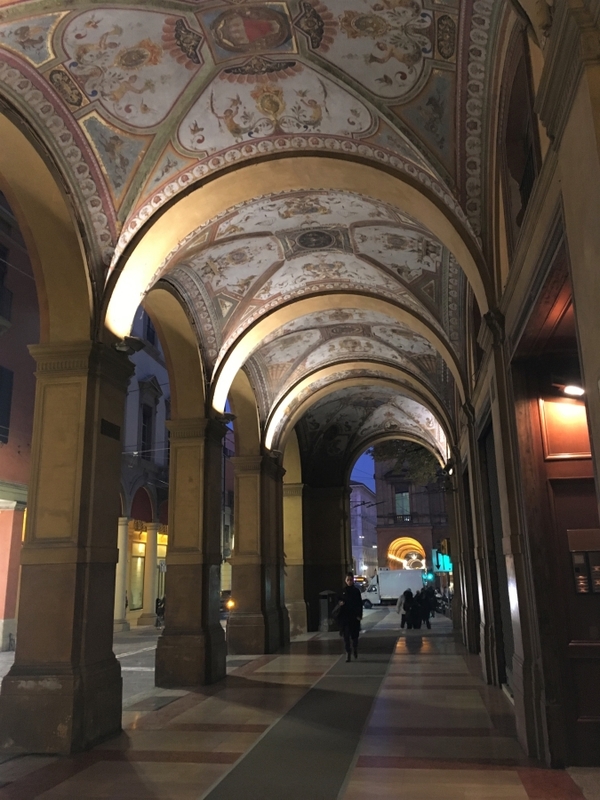 Even on a dreary day, the colors may be a bit muted, and the portici may be more necessary, but it’s hard to walk far and not find yourself whispering “ma che bello” as you see some stunning colonnade, architectural gem, fantastic street art, or a color that defies the grey of the sky. I really do recommend looking through more of my blog or Instagram to see more photos of just how beautiful this city really is. These following three barely scratch the surface. As I said, Florence was my first stop in Italy (a long time ago so all of my photos are from film so they’re mostly photos of photos at this point, so excuse the quality). I loved Florence from the start and it was particularly exciting to see all of these buildings that I’d studied in detail. And here they were! Everywhere! Because I hate looking like a tourist, but I also had a somewhat decent concept of the city layout from my studies, I’d often set off in a general direction and usually found what I was looking for. My friend Cathy who bravely accompanied me on this journey might disagree or at least suggest that there was a lot of extra, unnecessary wandering. Sometimes I just stumbled across stuff unexpectedly, like the Palazzo Medici. Some stuff we never did find, like the Boboli Gardens, but that turned into a joke about there being dragons on that side of the river. 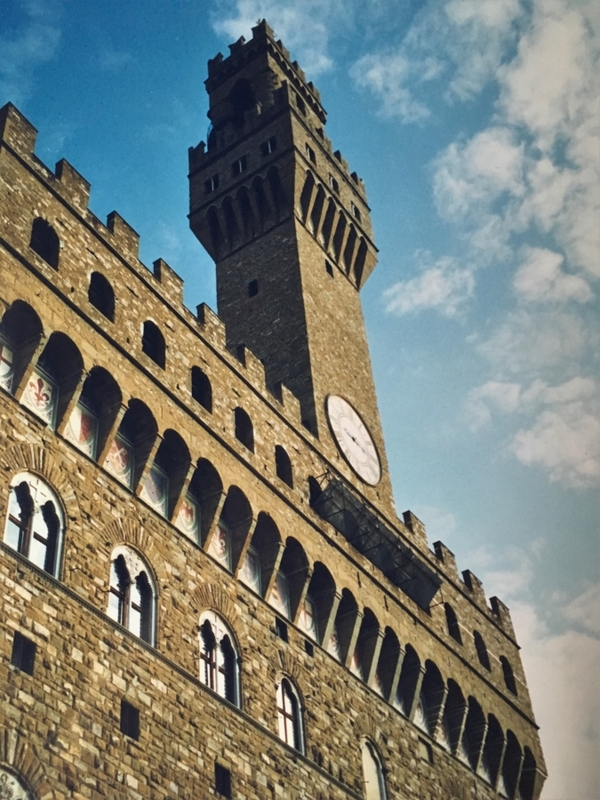 But my main goal was to see the Palazzo Strozzi and the Palazzo Vecchio and of course the Duomo, Baptistry, and Campanile. Il Cronaca! Brunelleschi! Giotto! Oh my! Palazzo Strozzi (too big to fit into one photo). Look at that rustication! 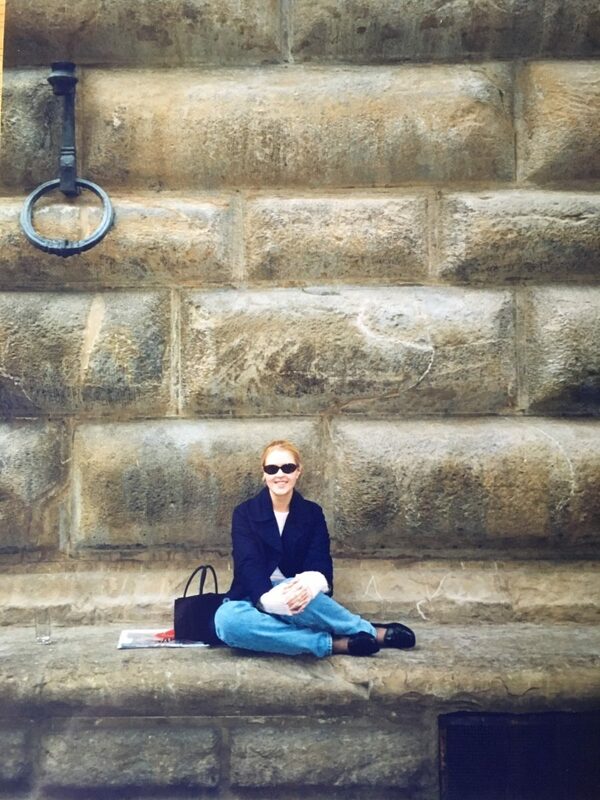 A happy girl with her Palazzo Strozzi rustication. I could really keep adding cities, but I’m going to limit myself to just one more, Mantova (Mantua). I went specifically to see the Palazzo Te, but while there, I stumbled across Alberti’s Basilica di Sant’Andrea (and my reaction to seeing it unexpectedly has become a running joke with G and me). We saw the outside of the Palazzo Ducale and the St. George Castle, but mainly just wandered around and enjoyed how pretty the city is. 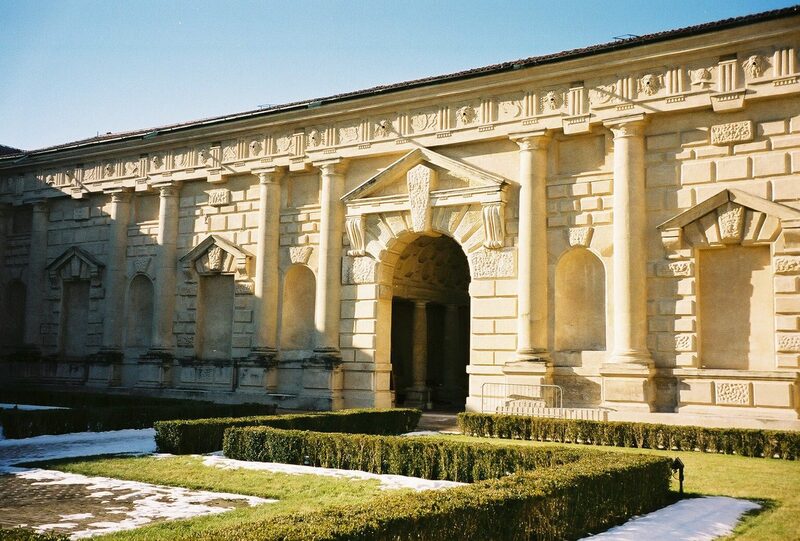 As I said, I went specifically for Palazzo Te because it’s stunning, but also because one of my favorite professors had studied it fairly extensively and written about it, so we benefited from his extra knowledge. So I’ll leave you for now with some photos taken at the Palazzo Te. If you want to see the favorite Italian city of other Italy-loving bloggers, check out the #DolceVitaBloggers via Kelly at Italian at Heart, Jasmine at Questa Dolce Vita, and Kristie at Mammaprada. 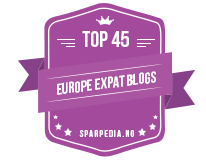 Every month, they invite bloggers to post on the seventh of each month on a particular topic. Follow their blogs and/or social media to keep up to date with reading and participating. 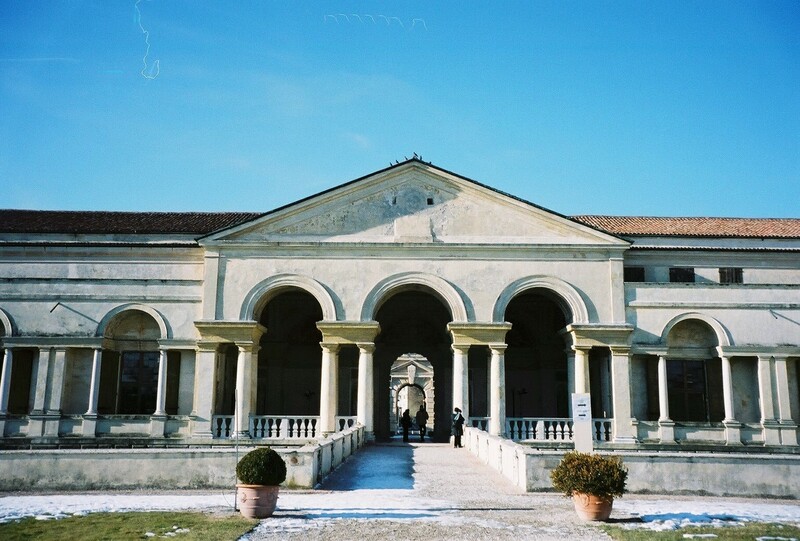 I’m happy to see people are mentioning Mantova in this linkup, it’s such a gem! 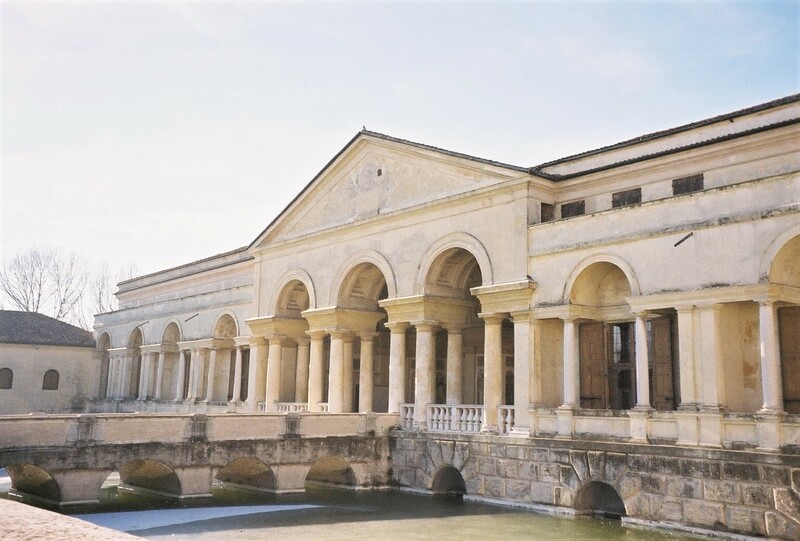 Sala dei Giganti inside Palazzo Te is one of those things you are never going to forget! 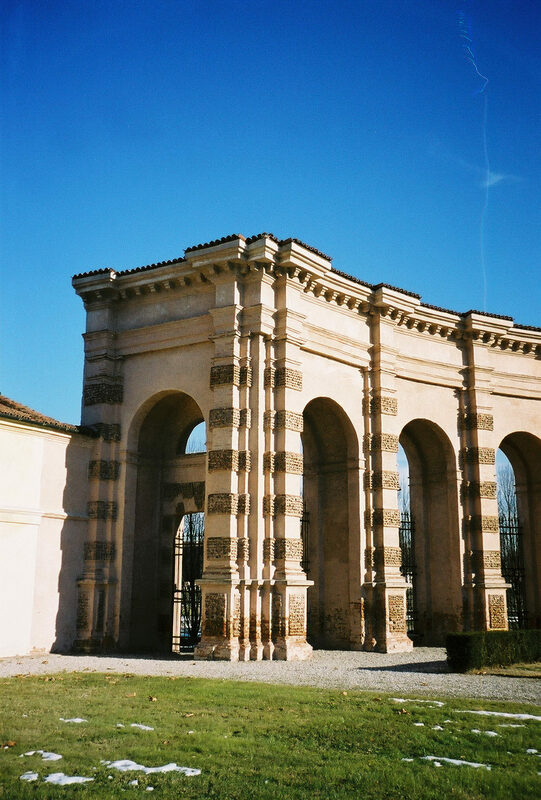 Oh no, sorry you didn’t make it to the Boboli Gardens! Oltrarno is actually my favourite corner of Florence! Bologna really is wonderful, but we’d also probably be thrown out if we didn’t say that. 😉 But I truly do love that it a big city with lots to offer, but isn’t overrun with tourists yet. That’s true. You may go for one thing and then come away from a visit with something new to love that you never expected. Yay! I’m glad you’re coming to visit! It’s such a wonderful city. I think everyone should see it and enjoy it. Try Trattoria Serghei for some classic Bolognese food. I’d love to meet up if possible. Just let me know. I’ve never made it to Bologna. Will put it on my list for one day. It’s been off the main tourist track, but it’s starting to get more of the attention it deserves. Definitely worth a visit! 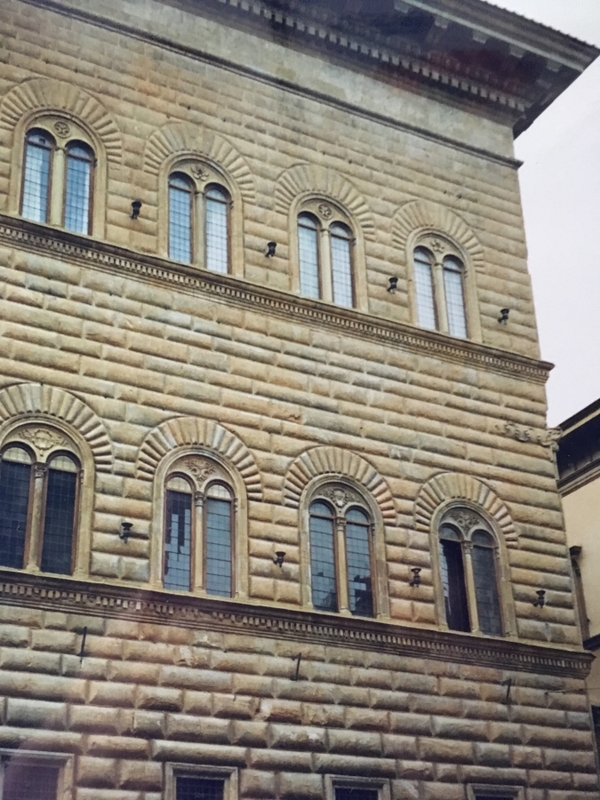 Oddly, on my recent one-day visit to Florence, I wasn’t as charmed, but I think that’s because I was dealing with some bureaucratic stuff that day and there were more tourists than I remembered. It was also pretty warm and I was missing the coolness from the portici in Bologna. 😉 People and cities can have off days, I guess, so it’s always worth giving somewhere another chance. Of course, some cities win you over right away and forever. I hope you get to come to Bologna soon! Great choices! 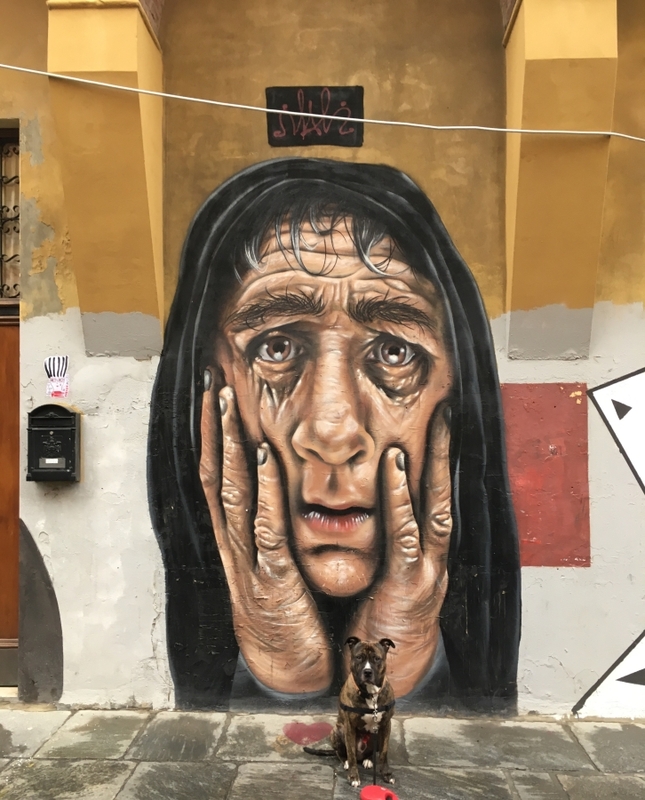 I love the street art in Bologna but it does slightly pain me to see it on all those beautiful old buildings…. I’m actually going to Bologna in a couple of weeks, I’m going to binge read your blog now haha! There’s a lot of ugly graffiti, but there really is some amazing street art. I’m probably going to post a lot of it this week, since I’ve built up quite a few photos of different sites. In some cases, it’s organized by the city to improve the area. I like the encouragement of creativity. The city is ridiculously old, but it’s still a vibrant city full of creative people for the modern times. A little bit of graffiti is better than living in a stale museum is how I like to think of it. I certainly hope you enjoy your visit. Feel free to ask any questions and I’ll do what I can to help. I’m still learning and exploring.